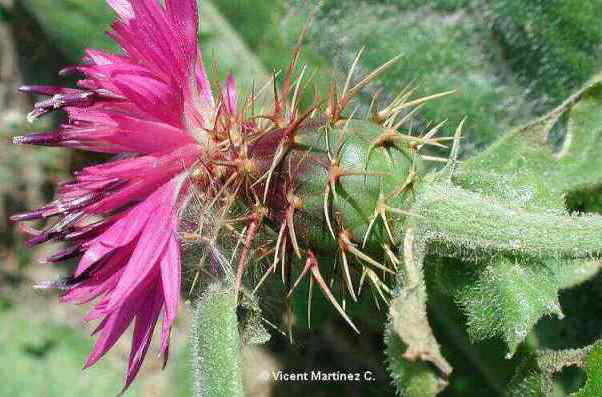 Photo of Centaurea aspera L.
A very ligneous plant of the daisy family -compositae– till 50 cm tall. Stems hairy below. Very rough leaves; lower ones stalked and divided; upper ones without stalks toothed or undivided. Big single flower- heads till 2 cm wide of white or purple flowers. Dry and grassy places.